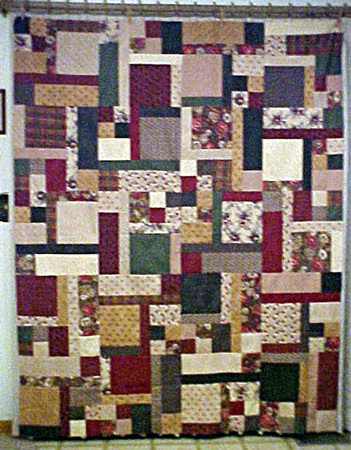 Attached is a photo of aTurning Twenty...Again quilt that I made this weekend. I bought the pattern on Friday, cut it out and began sewing on Saturday, then finished it Sunday afternoon. Love it! 16 FQ’s are from Brannock and Patek’s “Hearth and Home” collection for Moda, and four are Thimbleberries. It’s going to the quilter tomorrow, so I wanted to share this with you now.